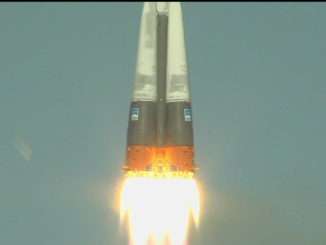 Replays from cameras at the Baikonur Cosmodrome capture the launch of a Soyuz booster from different angles. 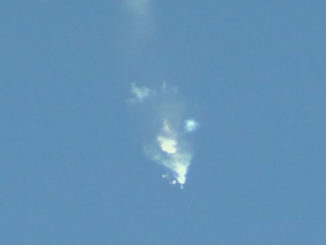 Watch as Russian cosmonaut Alexey Ovchinin and NASA astronaut Nick Hague launch aboard a Soyuz rocket bound for the International Space Station but a Soyuz booster failure cut short their ascent into orbit. 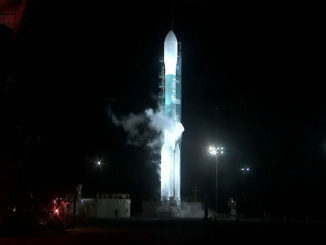 Live coverage of the countdown and launch of a United Launch Alliance Delta 2 rocket with NASA’s ICESat 2 satellite to measure global ice sheets. 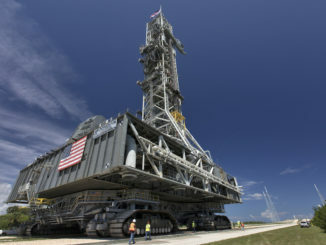 Watch as NASA rolls the SLS mobile launch platform from launch pad 39B to the Vehicle Assembly building at the Kennedy Space Center. 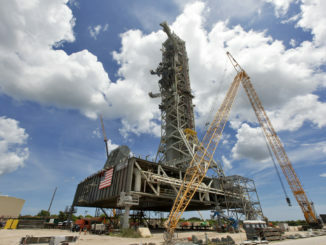 Watch live as NASA moves the mobile platform intended to carry NASA’s Space Launch System to launch pad 39B at the Kennedy Space Center in Florida. 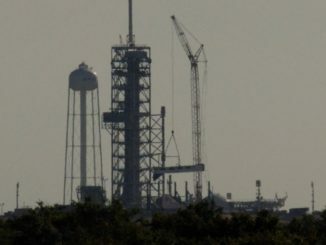 The access arm that will be used by astronauts boarding SpaceX’s Crew Dragon space capsule was installed on the gantry at launch complex 39A on August 20, 2018. 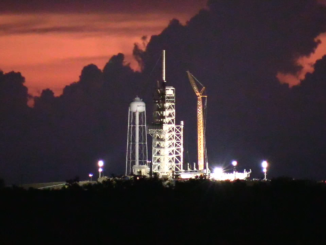 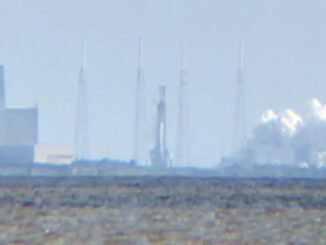 Watch live video from the Kennedy Space Center’s Launch Complex 39A as work is underway to install the crew access arm for the SpaceX Crew Dragon capsule. 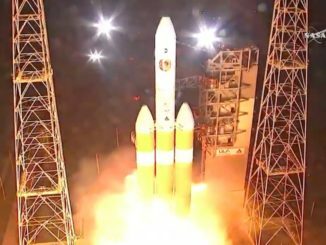 Watch a video replay of NASA’s Parker Solar Probe lifting off from Cape Canaveral Air Force Station’s Launch Complex 37 atop a United Launch Alliance Delta 4 Heavy on August 12, 2018. 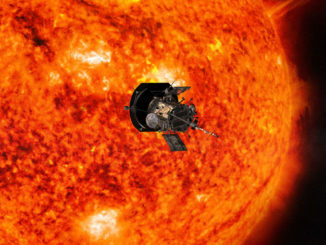 NASA’s Parker Solar Probe, poised for launch on a record-setting mission to investigate the environment around the sun, is sitting atop a United Launch Alliance Delta 4-Heavy rocket at Cape Canaveral set to depart planet Earth at 3:33 a.m. EDT (0733 GMT) Saturday.